Why is Peter Pan always in the air? Because he NEVER LANDS!! The story of Peter Pan first appears in the adult novel The Little White Bird by J.M Barrie in 1902. In 1911 it was made into a play called Peter Pan or The Boy Who Wouldn't Grow Up. Walt Disney actually played the role of Peter Pan in a school play during his childhood. In 1911 it was finally decided to be made into a novella called Peter and Wendy. The name Wendy was never used before the creation of the story of Peter Pan. There are no records of the name Wendy prior to the publication of that story. 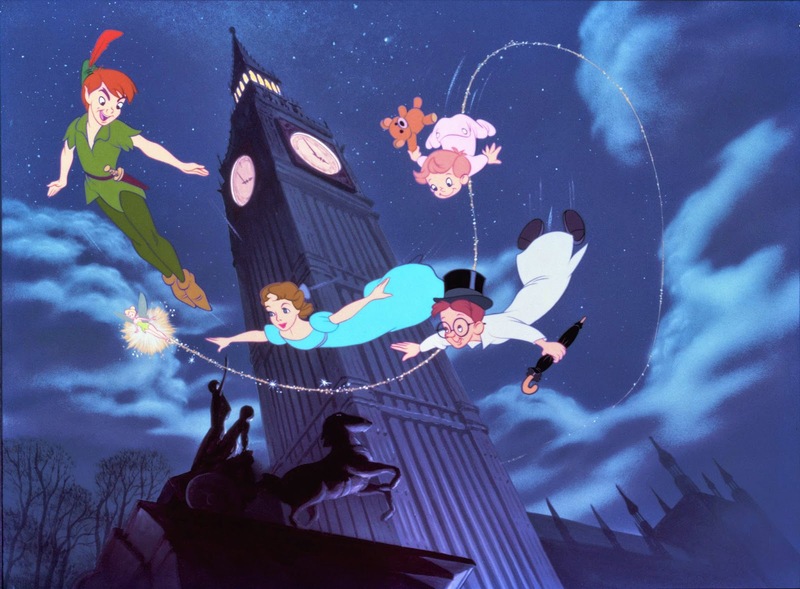 Peter Pan was made into an animated film in 1953. Tinker Bell made her first appearance in this film though she did not talk. In 2005 Tinker Bell was given her own franchise called the Disney Fairies. This started with a book collection which began with the publication of the book In the Realm of the Never Fairies and continued with Fairy Dust and the Quest for the Egg, Fairy Haven and the Quest for the Wand, and the Fairies and the Quest for Never Land. 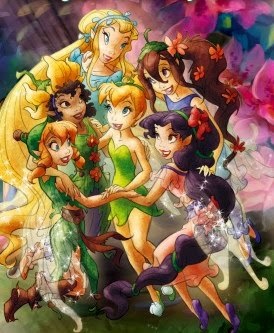 Afterwards another series called Tales of Pixie Hollow was created which consisted of 28 books. Then in 2008 Tinker Bell had her own movie in which she spoke for the first time. Some of the characters that were in her books were incorporated into the movie and many were altered. 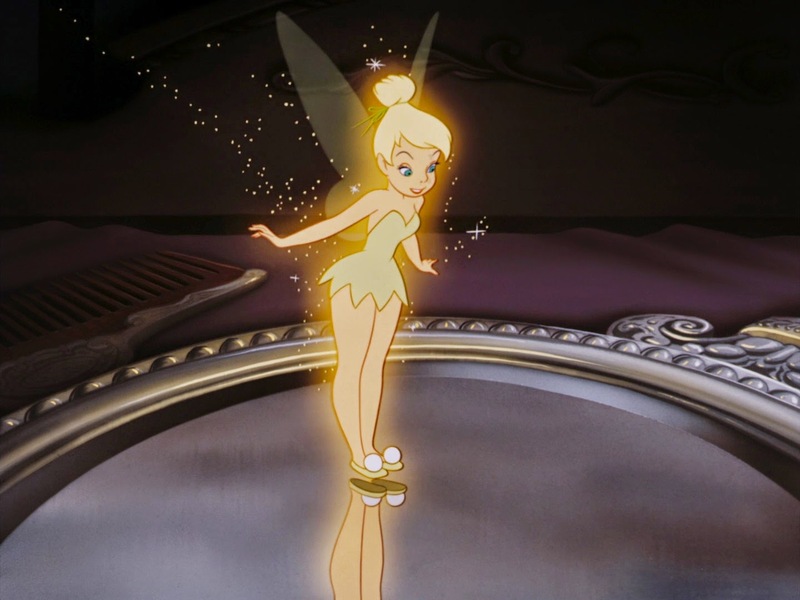 Over the next few years, new fairies were introduced in each new Disney Fairy movie including Tinker Bell's long lost sister Periwinkle. There are now a total of 6 Tinker Bell and the Disney Fairies movies which are only available on DVD and television premiers, the newest one being Tinker Bell and the Legend of the Never Beast which came out on March 3rd. A new, live-action version of Peter Pan will be coming to theaters on July 24th this year and it will be called Pan. In my opinion, the best version of Peter Pan was the 1953 animated film. The animation and the story line are immaculate and really whisk you away on a magical adventure. The live-action movies and Tinker Bell and the Disney Fairies spin-off series are okay but will never be as good as the original. Peter Pan was one of my all time childhood favorites and still is. It hold a certain magic that no other version has been or will be able to even slightly emulate.